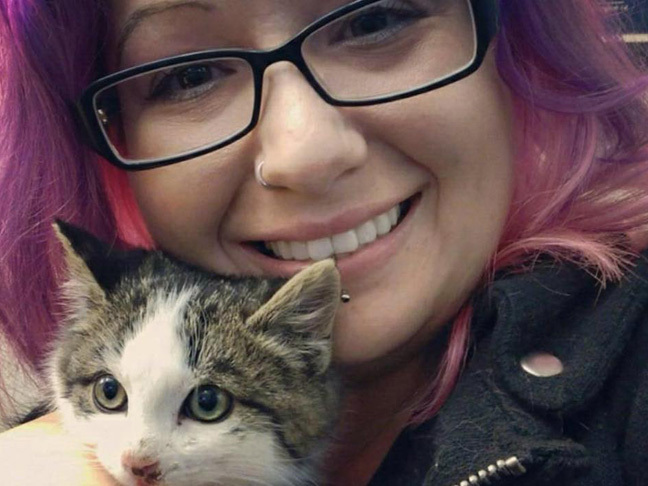 A friend of mine, Mandi Howard, recently made headlines when she saved a cat that had been violently thrown out a car window from a fast moving vehicle on a Toronto highway. I first heard about this horrifying event in my Facebook newsfeed. Three days later The Toronto Star published an article about it. 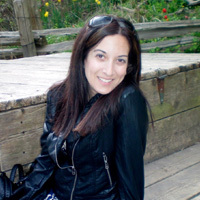 While driving down highway 427, Howard saw something being thrown out the car window in front of her. Initially she thought it was liter, but as she drove past, she saw fur blowing in the wind and knew it was an animal. Howard used all safety precautions, including signaling and carefully stopping on the shoulder away from moving vehicles, to get to the 10-week-old kitten (later named Pedro). His little nose was covered in blood, and he was screaming. Pedro’s injuries included broken hind legs, broken back paws, and a split lip. The Toronto Humane Society, where Howard brought the battered kitty, treated his injuries. The kindness of strangers and friends have helped with Howard’s fundraising efforts to pay for Pedro’s medical bills. Howard decided immediately to adopt the abused kitten and provide him a home where he will receive love and be protected from abuse. Lucky Pedro will have many brothers and sisters as Howard also runs her own cat rescue called Mama Meows. As a parent and someone that loves all creatures, at times I am horrified by the behaviour of others. I try my best to raise my son to treat everyone with kindness, whether they are on four legs or two. I believe humane education, empathy for others, and compassion is so important. Being kind to others is something all parents, grandparents, relatives, or caregivers can do with their children. When kids are taught to treat animals with compassion they will (hopefully) grow up to be adults that treat animals with compassion. Pedro’s amazing rescue has now appeared on multiple Canadian media outlets and reached international audiences as well. His story and adorable furry face have appeared in Italian, German and Chinese newspapers, and even a mention in People! Pedro’s rescue can be used to discuss how important it is to treat animals with love and respect. Kittens are only the beginning! Let’s not forget foxes, dogs, chickens, coyotes, cows, turkeys, elephants, pigs, and dolphins — sadly all these animals are abused and exploited around the world daily. What if we extend our compassion to include them too? What if we gave them another chance at life the way Howard gave one to Pedro? Here’s hoping Pedro’s next eight lives are a bit calmer, safer, and filled with love! With a human mom like Howard, I am quite certain that they will be.